Welcome to Clews News. 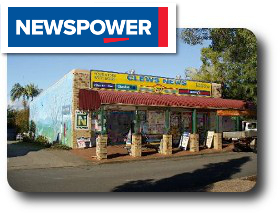 Clews News has been owned by Andrew and Marlene Clews for more than 30 years. Our shop has become famous in our once small, now ever-expanding, town for its friendly atmosphere, efficient and often entertaining staff and a high standard of service and commitment to our customers. Clews News is your supplier of office and stationery products catering for all your work, home and school needs. We have a wide range of stationery and general office products at the lowest prices everyday both in store and here online. Order online using the menu on the left or contact us for account enquiries or further information.